Reign Academy provides a female-centered training and playing environment designed to inspire and empower the next generation of female footballers. Reign Academy operates five teams in the U.S. Girls' Development Academy—the highest level of female youth soccer in the United States. DA teams offer comprehensive, focused, and intense training environments that are designed to develop elite-level players to their fullest potential, preparing them for D1 colleges, professional playing careers, and international football. Reign Academy Reserves teams offer near-elite players a DA-level training environment, but with more flexibility and a reduced time commitment. Reserves teams compete in the 2003/2004, 2005, and 2006 age brackets. Reign Academy Reserves players can be called up as Developmental Players to the DA teams, while players retain the opportunity to play with their high school teams. Reign Pre-Academy offers emerging-elite players in the 2007, 2008, 2009 and 2010 age brackets with a defined pathway to the DA and Reserves teams. 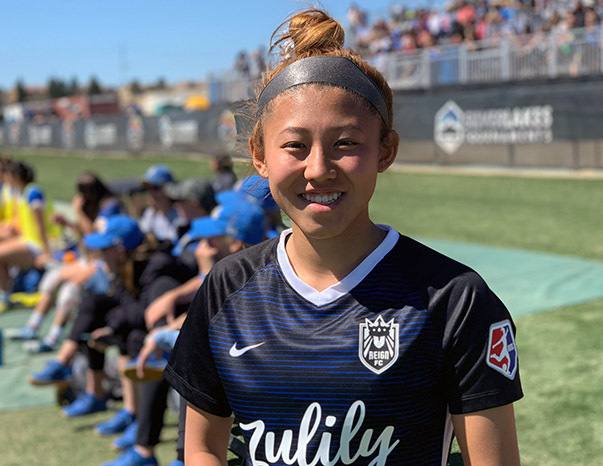 Reign Pre-Academy teams train using the Reign Academy curriculum, and players have opportunities to move up to DA or Reign Academy Reserves teams should a player be performing beyond her current age level. It shouldn’t be revolutionary. But it is. We believe players and parents deserve a competitive environment that is demanding without being demeaning. Our extraordinary coaches and technical staff lead by example—not edict—and motivate through inspiration, not intimidation. Our goal is to shape more than just great players—we’re here to enable the growth of the next generation of female leaders on and off the pitch. Reign Academy is led by Reign FC owner Teresa Predmore, a former D1 player and secondary school educator, and by Technical Director Kim Calkins, a U.S. Soccer “A” licensed coach and former professional player. Reign Academy is the only youth club in the region owned and operated by women. Great environments start with great coaching. DA teams are coached by “A”-licensed coaches, including a six-year veteran of the Reign FC first team. The Academy coaching slate includes current and former professional female players, as well as coaches working at the D1 and international levels. The training is demanding and the expectations high, but the environment—which was thoughtfully crafted specifically for female players—provides a safe, empowering foundation upon which girls and young women can achieve their full potential. Authentic connections to the Reign FC first team provide Academy players with extraordinary experiences on and off the pitch. We have the opportunity and obligation to grow the women’s game in the Pacific Northwest. Reign Academy players represent the future of Reign FC, making them an essential part of our club. Academy players learn from our players and coaches, experience Reign FC matches, and have a chance to grow their game by being part of a professional environment that demands excellence, rewards talent and tenacity, and nurtures both the person and the player. 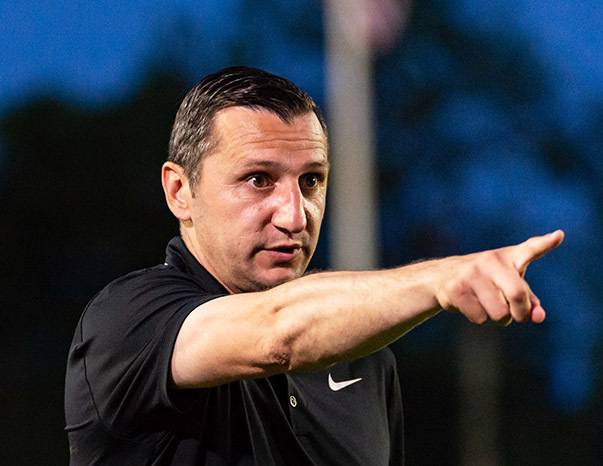 Reign FC head coach Vlatko Andonovski works closely with the Reign Academy Technical Director to shape the Academy curriculum, and leads the development and growth of Academy coaches. Reign Academy players receive invitations to train with the first team, providing meaningful experiences for players to test themselves against some of the world’s best female footballers. 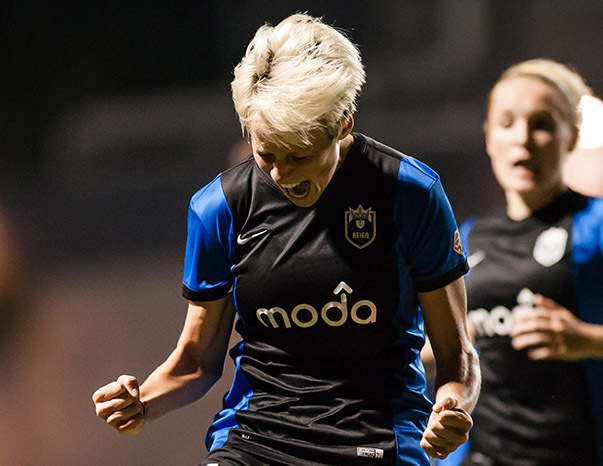 All Reign Academy players receive tickets to Reign FC home matches, providing an opportunity to watch and learn from the best players in the world, including USWNT superstar Megan Rapinoe. Reign FC first team players, including Bev Yanez and Megan Oyster, work as Assistant Coaches in Reign Academy, giving Academy players a unique opportunity learn from the best.